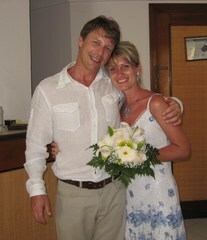 Marriage agency network to meet single Russian and Ukrainian women who are looking for love and romance. 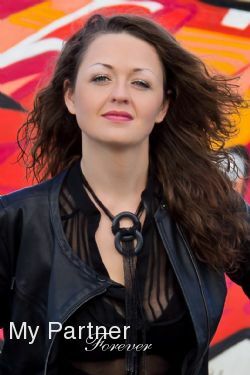 Dating site for men from Canada who are seeking a charming wife in Belarus, Moldavia, Russia or the Ukraine. With the cooperation of partner marriage agencies that are located in Belarus, Moldavia, Russia and the Ukraine, we offer men from Canada a true opportunity to meet single Russian women who are seeking a good and decent man to share love and to become life partners. Eastern European girls are not only very beautiful, moreover, they believe in the traditional family values, something that is becoming more and more difficult to find for many men from Canada. Another aspect that makes these women so attractive is that they love their husband with an unconditional love. In other words, their love is not conditional or proportionate to the couple’s financial situation, to material goods, trips etc. Of course, as everybody, they like the nice things of life but if the couple is going through some difficult financial times due to a loss of job, career reorganisation etc., Russian women are known to be compliant, hard workers and perseverant. However, they expect that love, understanding and respect always remain present. How will your Russian Wife Adapt to Canada? Canada and Russia certainly share many similarities. To begin with, and it should me mentioned, they are the two strongest nations in hockey and of course, many of us remember the 1972 Canada-USSR Series. Beyond National sports, Canada and Russia share similar climates and similar flora and fauna as well. Socially, again, both systems are alike on several aspects among which healthcare, education and many other social services that offered freely to the population by the Government. As far as business and industry, of course, they were enormous differences some time ago, but Russia is nowadays more and more opening the access to free enterprises. Generally speaking, Russian and Ukrainian women adapt very well to Canada. They learn English and French in a baffling way compared to our ability to learn Russian. Certainly, our lifestyle is somewhat different from theirs. To begin with, of course, they are not used with our freedom of expression. They take a while to get used to it, but they learn to appreciate it and enjoy it. Generally speaking, there is also quite a gap in the level of lifestyle and luxury, meaning that in Canada, a majority of adults have their own car, our residences are filled with luxury furniture and appliances, we have more than interesting salaries and do our shopping in superstores that offer just about anything that is available on the planet, the whole at very good prices versus our income. In short, we live in a world of abundance. Of course, they appreciate it and enjoy it, but in a general way, they keep this notion of austerity and the need to not waste, that is anchored in their nature. Why are Men from Canada Looking for a Wife in Russia? What are Russian Women Seeking in a Husband? 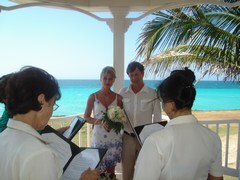 Many men from Canada get married with women from Russia or the Ukraine. Among the reasons that can explain this phenomenon, there is certainly the fact that Russian and Ukrainian women are generally quite beautiful, not to say stunning. There are not so many overweight people in these countries and women aren’t exception, at the opposite, the vast majority of them have a healthy weight. Moreover, according to the last Russian census, there are approximately 10 million more women than men in Russia and former USSR countries. Therefore, there is a lack of available men and women are in constant competition to get the attention of one of the single men who could be interested in a serious relationship. They must be quite attractive, on a daily basis. They are very feminine and it is normal for them to routinely dress in an elegant way, not just for occasions. Another reason, and not the least, that makes it so Canada men are attracted to Russian and Ukrainian girls, is the fact that they believe in the traditional family values. These values that make it so life priorities are the couple and the family. Certainly, they are generally well-educated and have all the tools to develop their personal career, and many do so with success. However, the couple and the family remain the priority. In other terms, if their husband earns enough to cover the financial needs of the family, they don’t feel the absolute need to assert themselves professionally and acquire financial independency. Which is a rare mark of trust nowadays and is also part of the foundations of a traditional family. Russian women are generally not much demanding toward their husband. More precisely, they are not much demanding toward accessory needs and material needs, but they are very attentive to loyalty, understanding, faithfulness and mutual respect. They are known to not abandon the couple during the difficult times and they will remain a loyal partner for their man, as long as he deserves it. And to deserve it, it is not a question to have the nicest house on the street, or to have expensive cars or to offer them luxury items but it is a question of loving them, to be loved, to be faithful and to be a good family leader. If you believe that one of these beautiful Russian or Ukrainian women could someday be your lovely wife, but you have doubts towards the feasibility of the project, let us reassure you that you can succeed and find happiness! Born in Canada an having lived in Canada all my life, I (Alain Lalonde) found myself single at the age of 44. I spent some time alone and then decided to begin the process of finding a life partner. I am the quiet style. I don’t go out to bars, I don’t have friends with who I share activities on a regular basis, in short, I take care of my son one week out of two and I work extra hours the other week. I have no interest for one night adventures and I want to meet a woman with who I will be able to develop a relationship that, I truly hope, will last many years and to never have to seek a life partner again in my life. As we all do, I first relied on destiny. Maybe that by chance, I would meet an interesting woman while shopping, going out with friends or simply while taking a walk …but months go by and I remain single. I then register on local dating sites. There are thousands of women who display profiles that seems quite interesting. I truly believe that I will be able to find my life partner this way. In the following year, I meet over 30 women with who I previously corresponded by email and talked over the phone and we both felt a mutual interest. For reasons that I still cannot explain up to this day, not a single meeting was a success. There was always something wrong. Whether I lived too close or too far from her, whether I was too much into sports or not enough …in brief, I probably was not enough charismatic. Well, that’s me: not such a good salesman but a good deliveryman. In other words: I’m a small talker but I do things. Obviously, this was not an asset to convince the women I met. We are at the beginning of the summer of 2006 and I decide to go spend some time on a North Carolina beach with my son to spend quality time together and to fill up with energy. On the second day, while body surfing, I meet a very nice couple, composed of an American man and a Russian woman. They are both very sympathetic and his wife is quite charming. In fact, she is the kind of woman that I dream of: she is gorgeous, calm, intelligent, in good shape and always smiling. To my amazement, I learn that they met through a dating site that specializes at introducing single Russian women who are looking for a life partner from abroad. You guess that upon returning from my vacation, I did not lose time at finding sites offering services to meet Russian women. I also did a lot of reading about Russian women dating sites, about Russia itself and, of course, about what characterizes Russian women. I was delighted on all aspects and decided to begin the steps to find myself a life partner in Russia. Again, lots of profiles were displayed, but a major difference was that these women were not looking for an activity partner but rather for a life partner. Furthermore, the majority of them were absolutely beautiful. To make a long story short, I developed a relationship with Yuliya during a couple months. Then, I went to meet her where she lived, in Grodno, Belarus. Our first meeting was pleasant and we both felt like meeting again. There were no fireworks, but a good chemistry and a real interest that was growing daily. When I left Grodno, we both knew that this was not the last time we saw each other. After I got back to Canada, we kept corresponding by emails, we talked over the phone and kept meeting on Skype. Each day, we both felt more and more like seeing each other again. In the following months, we spent a week together after which we then knew that we both had found our life partner. A few months later, we got married and began the immigration process. Three months later, Yuliya got her visa to join me in Canada. I then traveled to join her and spend time with her parents and of course, reassure them that I would take good care of their charming daughter. Each year, thousands of men from Canada and other countries, travel to Belarus, Moldavia, Russia and the Ukraine to meet beautiful Russian women or Ukrainian women who are looking for a serious and caring men to be life partners. Many come back very happy since the met a charming woman with whom they develop a relationship leading to marriage. These women are not only gorgeous, they offer the qualities that are very much sought by men who wish to share a family life. You relied on destiny, but it did not work. You tried your chance with local dating site, but again, without success. Why waste more time and continue to live alone when you could meet a charming Russian woman who shares your convictions and with whom you could find happiness? Our marriage agencies located in Belarus, Moldavia, Russia and the Ukraine, offer to meet Russian girls who are looking for a serious and loyal man with who they wish to share love and a family life.